This self-adhesive tape is made from superior thread-count cloth and specially formulated adhesive. 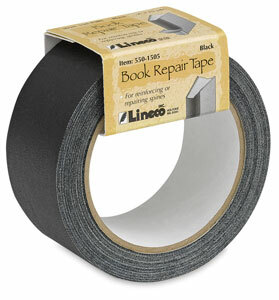 Use it to permanently repair or reinforce book spines, or to reattach book covers. Rolls are 2" wide and 15 yards long.